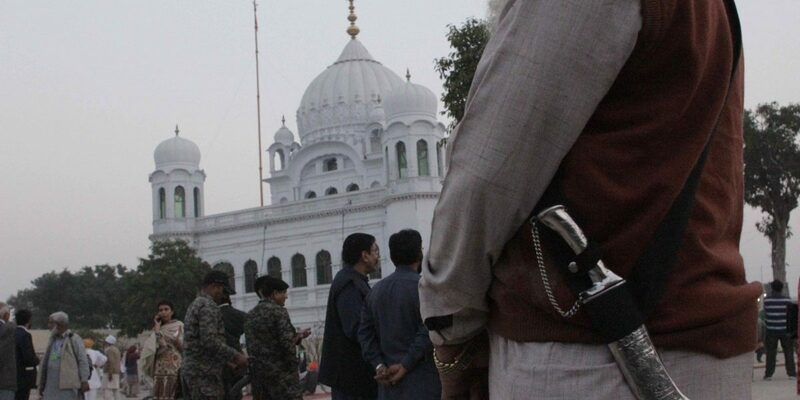 New Delhi: India is likely to soon send a formal invitation to Pakistan for a coordination meeting to establish the cross-border ‘visa-free’ Kartarpur corridor. The corridor will connect two Sikh shrines on both sides of the Indo-Pak border and allow pilgrims to travel between them. This was one of the key outcomes of the inter-ministerial meeting chaired by the home secretary, Rajiv Gauba, on Tuesday. The meeting, held at North Block, was attended by officials from the home ministry, Punjab government, state and central security agencies, the ministry of external affairs and highway authorities. As per sources, the meeting will be held to discuss the modalities of the road alignment and the logistics of moving large numbers of pilgrims between Dera Baba Nanak in Gurdaspur (India) and Gurudwara Darbar Sahib in Kartarpur (Pakistan). Last November, both governments decided to open the pilgrimage corridor to mark the 550th birth anniversary of Guru Nanak Dev in 2019. That subsequently triggered a round of jostling for credit between India and Pakistan over who initiated the project. India also publicly reiterated that the opening of the Kartarpur corridor did not mark a thaw between the two sides, nor the start of a new dialogue process. Meanwhile, within Punjab, Congress leader Navjot Singh Sidhu received a political boost against his detractors, including Punjab chief minister Amarinder Singh, as he seemed to have taken all the credit for persuading Pakistan to green light the project. Sources said that the infrastructure to be built on Indian territory is rather straight-forward compared to the Pakistani side. “In Pakistan, they have to build roads over three bridges,” said a senior official. However, there are reports that Pakistan has made considerable progress in building the infrastructure for the project. When the Indian and Pakistani senior officials meet, they will not only have to decide on the road alignment, but also the logistics for ferrying large numbers of pilgrims. “On the other hand, any other valid government document – say, Aadhaar cards – may be used for identification,” wrote Singh. Sources said the use of Aadhaar cards for identification purposes was also discussed in the inter-ministerial meeting in Delhi. It was suggested that the application for pilgrims should be an online process and bio-metrics should be recorded during the immigration process itself. Pakistan made a detailed presentation of its plan at the launch of the Kartarpur Corridor in November, which was attended by Pakistani Prime Minister, Imran Khan. India’s initial proposal wanted the corridor to be open 365 days, 24 hours, with no restrictions on the number of pilgrims. India had also sought “free and readily available consular access” for Indian citizens on the Pakistani side. However, New Delhi will have to make a compromise as pilgrimages are likely to be allowed only during daylight hours. There is also no consensus yet on the number of pilgrims to be allowed daily. Pakistan has proposed ferrying pilgrims in shuttle busses.